Located on a prime corner at the northern edge of Chicago’s coveted Lakeview neighborhood, Viridian on Sheridan is close to everything but away from it all. The 100-residence bespoke apartment building boasts smart technology features, a green roof vegetable garden, and an amenity-rich 10th floor. Community members wanted the site—a vacant gas station—to be developed differently from what previous developers had in mind, with more sensitivity to the surrounding neighborhood. As the third developer to approach the project, Vermilion engaged in open, honest dialogue with community members to dig deeper into the issues that mattered most. The resulting residential community was a win for everyone. Close to everything but away from it all. Viridian on Sheridan is steps from the lakefront, public transit, and all that the city’s bustling retail, dining and nightlife has to offer. It also has resident friendly retail on the ground floor. Some units even have priceless night views of Chicago’s legendary Wrigley Field. 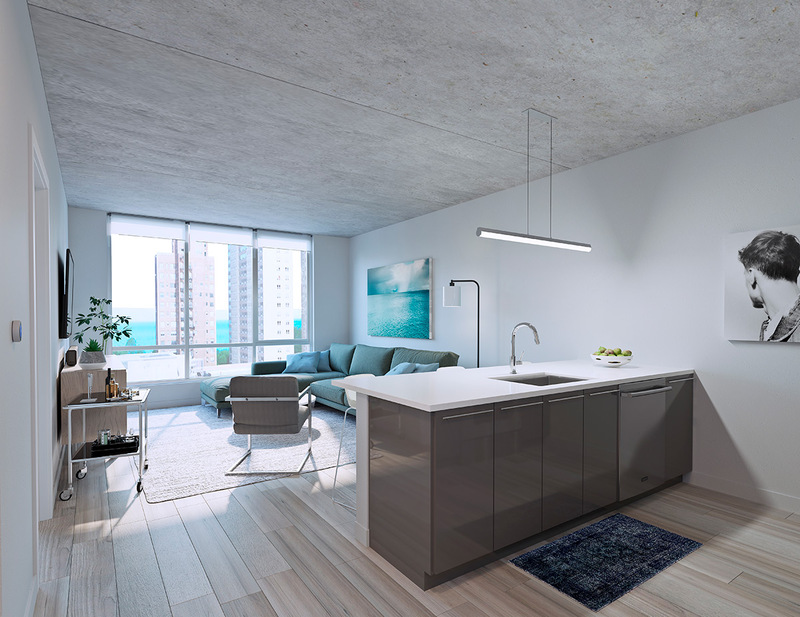 Viridian on Sheridan will be fully wired and connected with smart technology—from the lock entry systems and Wi-Fi throughout to temperature control and lighting. All units will satisfy the tech or communication needs of residents. 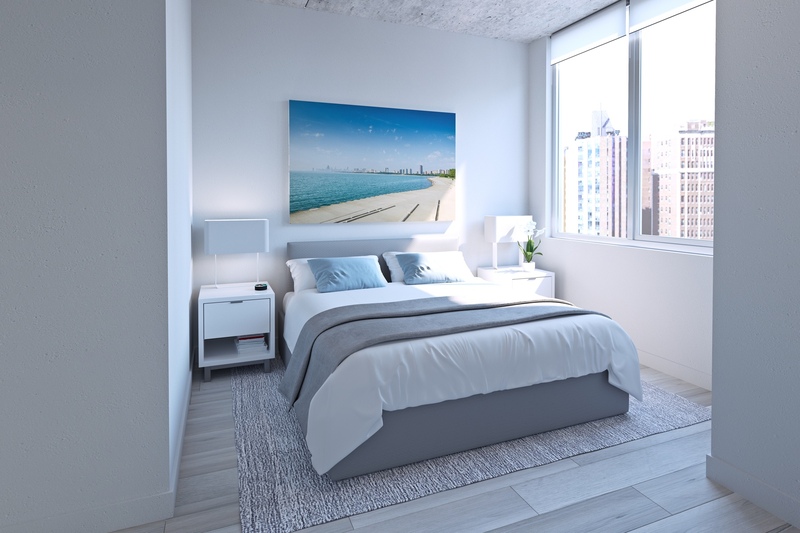 Amenity spaces will be equally connected with state-of-the-art sound systems, a tech-ready work lounge, and touch-screen enabled fitness equipment. 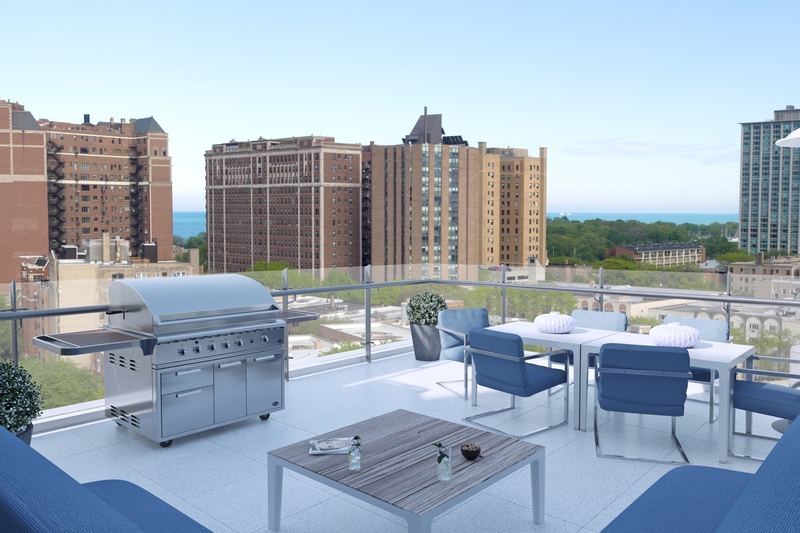 Residents of Viridian on Sheridan will experience prime views of Lake Michigan from the 10th floor, which is home to the outdoor terrace, entertainment lounge, work lounge, and state-of-the-art fitness center.